Daily Illuminator: Where Do PDFs Come From? February 4, 2018: Where Do PDFs Come From? 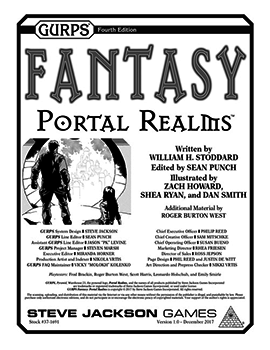 Intro note from Steve Jackson: I asked GURPS editor Steven Marsh for some elucidation on the process of creating PDFs, and he sent me such a great memo that I wanted to post it as a look behind the scenes. If you use PDFs in your gaming, this may interest you! I asked: "I need some help curing my ignorance about the making of searchable PDFs. I am a clueless user in this department - I have some, I search them, but I don't know what I am doing when I do it. How do searchable PDFs actually work? Do they need to be "laid out" in Word and use the Word search, or will InDesign work - and if so, what application is being used to search?" It's actually a fairly nuanced question, not unlike asking, "Where does art in a JPG come from?" The answer is, "Lots of ways!" In other words, you have a bunch of info in Word, and you want to share it with others (playtesters and reviewers), in a way that ISN'T a sellable PDF, but IS easier to print and review, without requiring folks to own Microsoft Word. If you don't want a commercial product, this is the easiest method. In that case, you can make the PDF yourself; in Microsoft Word, simply go to File --> Save As... Then, under "Format," select "PDF" from the drop-down menu. This is the only practical option for REALLY old books, where we don't have the original digital source files. For instance, if you were going to make the original Fantasy Trip items available as they were, as PDFs, this would be the best bet. Be aware, however, that the resultant scanned text is not 100% accurate; there WILL almost certainly be bits it gets wrong. This is especially true for tables with shaded backgrounds, scans of thin paper (where the text on the backside of the page "bleeds" through), etc. For similar reasons, the resultant PDF is NOT terribly suited for printing (since you're just printing "photocopies"). The resultant PDF is as "professional" a product as possible; it looks great on any computer, it can be sent to a professional print service, etc. In ALL of these cases, the software program you're using to read the PDF is doing the search of the text. Thus, if you open a PDF using the Mac Preview function, it's doing the searching; if you use Adobe Acrobat Reader, it's doing the dirty work; etc.